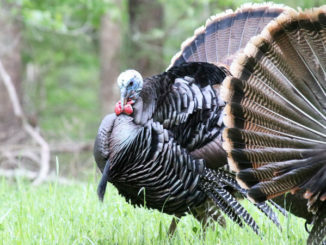 Cleaning with a scour pad such as Brillo or Scotch-Brite is how hunters should start, with fine-grit sandpaper in reserve. This will ensure that the shape of the calling surface is unchanged. 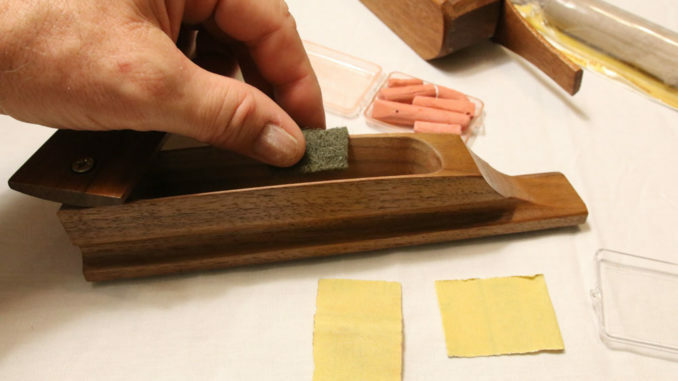 All friction calls — box, trough, pot or scratch box — will need a little TLC from time to time. A scour pad such as Brillo or Scotch-Brite, 120- and 320-grit sandpaper, and some box call chalk is what’s needed to get started. Anthony Foster of Primos Calls detailed a few steps to rejuvenating an older call. Clean the box sides and lid thoroughly with the pad. If you don’t get the sound you want, then go over it lightly with the sandpaper. Pot calls and trough calls are easier to condition than boxes. Clean the slate surfaces with the scour pad: that’s usually all it takes. Surfaces other than slate may take light sanding with fine grit sandpaper. Clean striker tips with the scour pad first; if more work is needed, try 220-grit sandpaper and maintain the shape of the tip. Scratch boxes should be conditioned in the same manner as box calls. Clean them and chalk them first before sanding. They’re a little more fragile than boxes; if you sand, go lightly. “If you are not sure what to do and want to avoid mistakes, reach out to a call maker and let them walk you through it the first time,” Foster said.